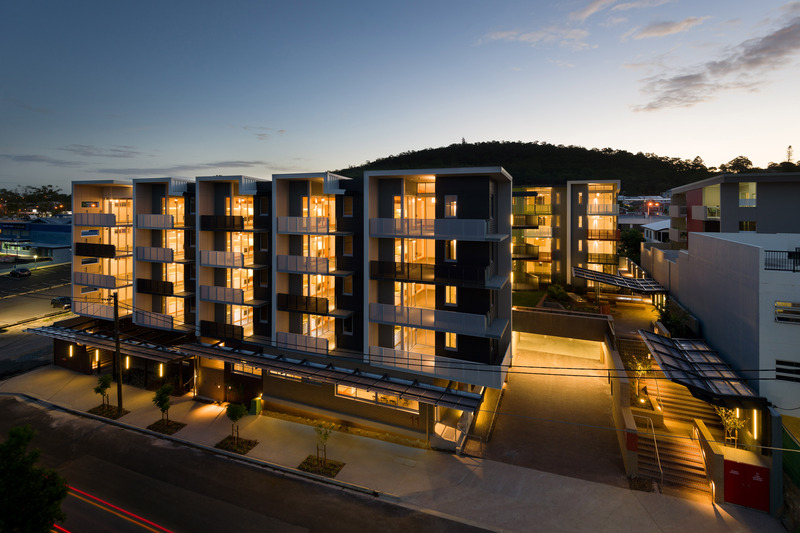 Caggara House is a five storey affordable housing complex by Brisbane Housing Company, of 57 quality, purpose-built units for seniors in the inner city suburb of Mt Gravatt East. The project incorporates an adaptable common area on the ground floor that can be converted into a non-residential use once the demand for non-residential uses in Bothwell Street is established. Furthermore, to compensate for a reduction in car parking, the project incorporates a number of mobility scooter charging stations for residents’ use. 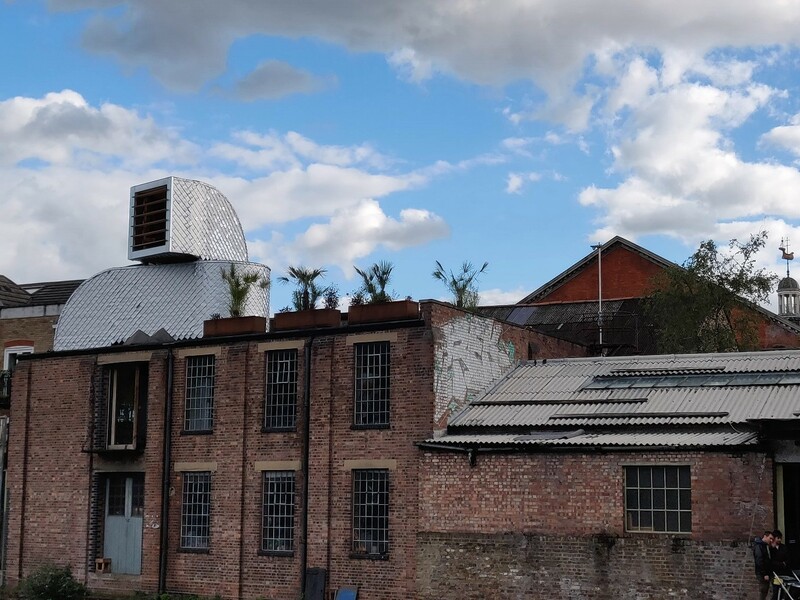 H-VAC is a creative play on planning laws, exploiting development exemptions for rooftop plant and equipment such as air-conditioning units to explore innovative use of space within Cities, in this case unused rooftop spaces. Described as a “A shelter in disguise” by the project architects, the enlarged scale of the rooftop plant allows for habitation. While a temporary demonstration project for the purpose of the Antepavillion awards, the project is inspiring YIMBY Qld in our pursuit of making more efficient use of ‘lazy land’ in creative and innovative ways, and looking for planning pathways to unlock these opportunities. This city office tower is 6 Star Green Star and 5 star NABERS rated. It delivers 1400m2 of public park with river views on the podium, 600 bicycle parking spaces and 45 showers, a rooftop tree grove and protects the view corridor to the river from the nearby heritage listed cathedral. 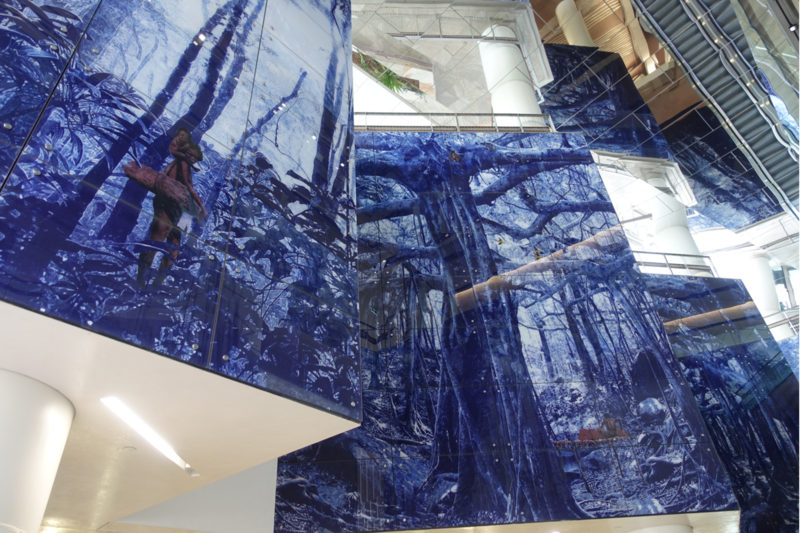 The image is of Danie Mellor’s “SuperNatural Landscape”, a 350m2 rainforest mural installed across two levels in the atrium, making it Australia’s largest public art project in a commercial building. 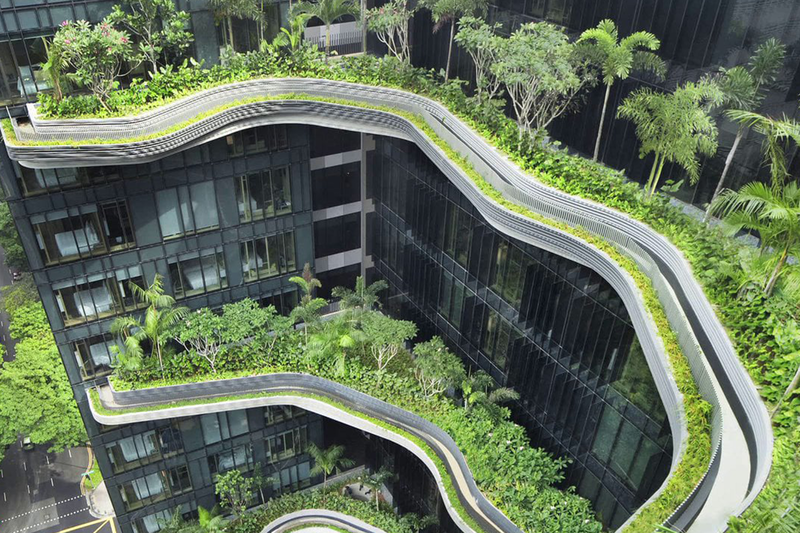 Green architecture that is visually stunning but also environmentally sustainable. The hotel features 2 square metres of lush greenery for every 1 square metre of total land area. It also reduces resource usage by incorporating rainwater harvesting; LED lightbulbs; solar panels; and light, motion and rain sensors. 6 green star, commercial office building with ground floor and podium retail uses. It has been described as a ‘future-focused’ building as it features real-time public transport information and building environmental performance information presented on dedicated foyer displays. Individual tenancies can also display this real-time info. It is located directly across from Central Railway Station which encourages public transport use. The building facade celebrates the local environment with an artistic imprint of the Brisbane River. Heritage building refurbished for commercial use so that it is now carbon neutral and has a 6 Star Green Star Rating. It features “state-of-the-art technology that converts paper waste into a combustible gas used to generate electricity”. 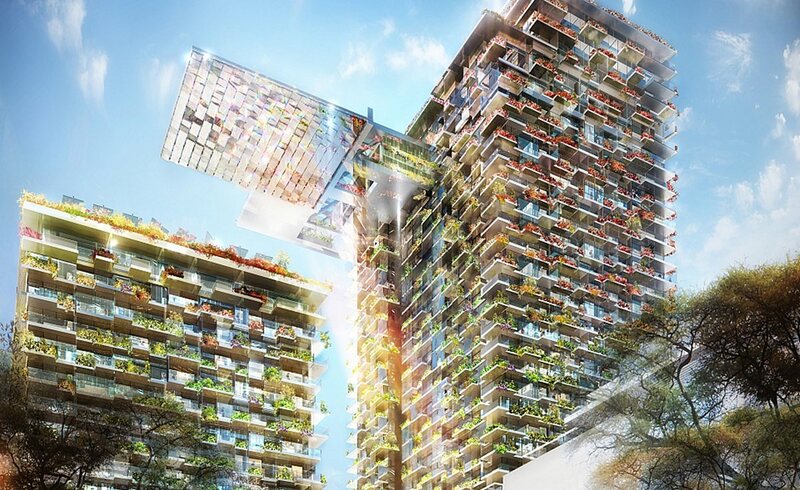 This trailblazing, vertical village re-defines urban planning and the traditional residential tower as we know it. 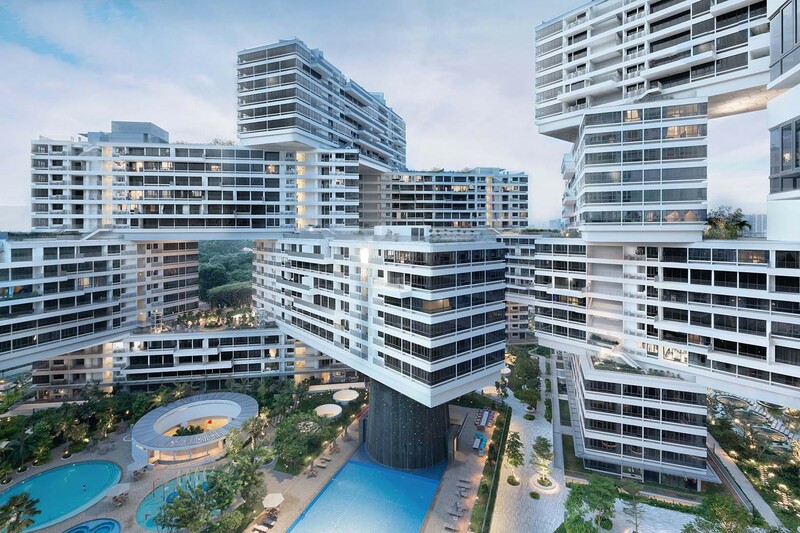 The Interlace delivers 1,040 residential units spread across 31 horizontal blocks stacked hexagonally to create an architecturally striking development with shared outdoor spaces and terraced gardens to bring residents together. This remarkable urban village includes over 600+ apartments, a shopping centre, 6,400 sqm of parkland and features truly innovative architectural design. The sky-high cantilever of the Sky at One Central Park building, supports a light-reflecting heliostat system that bounces natural sunlight in to the atrium below and during the evening turns into a glittering light installation designed by international lighting artist Yann Kersalé. The building celebrates green architecture with rooftop gardens and green planters wrapping the building facade. 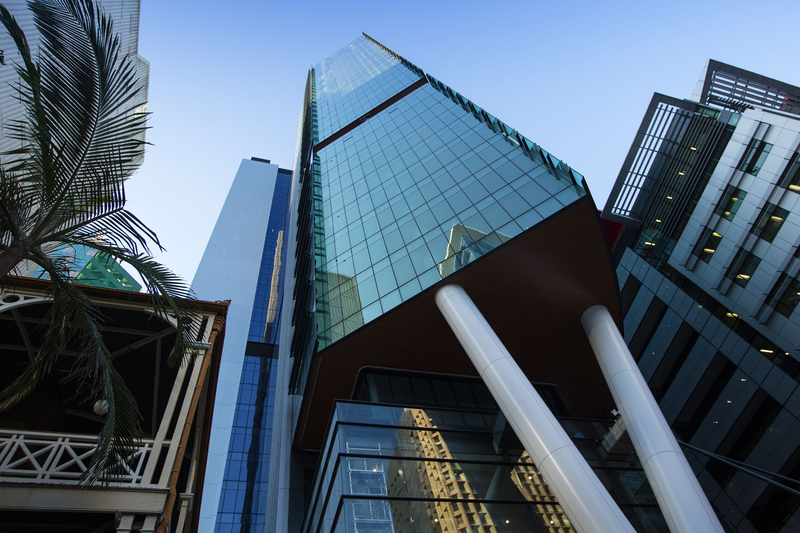 Each building in Central Park will achieve a minimum of a 5 green star rating and the development features its own water recycling plant and onsite tri-generation plant supplying power, heating and cooling. Importantly, this development delivers community dividend in the form of public parkland and art. 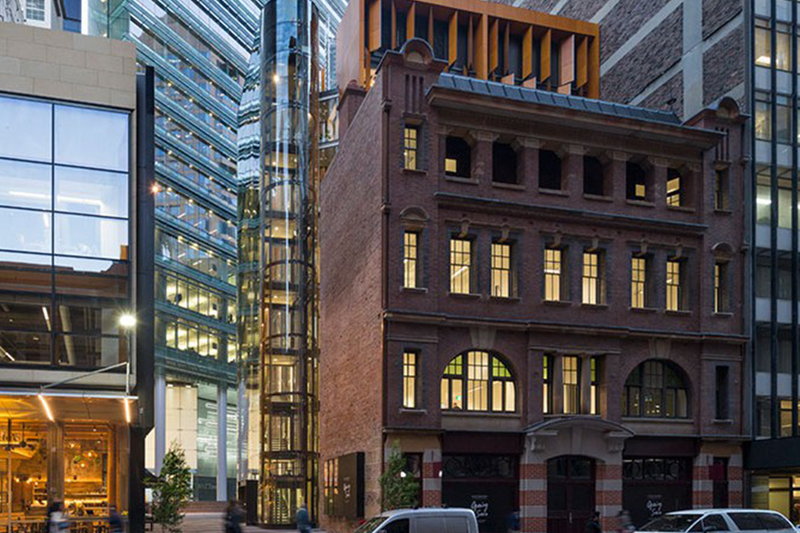 It’s no wonder this building has won so many accolades and exhibits all of the YIMBY Qld Qualities! Gasworks Plaza is a prime example of innovative urban renewal focused around the heritage conservation of one of Brisbane’s former gasometers, which dates back to 1886. 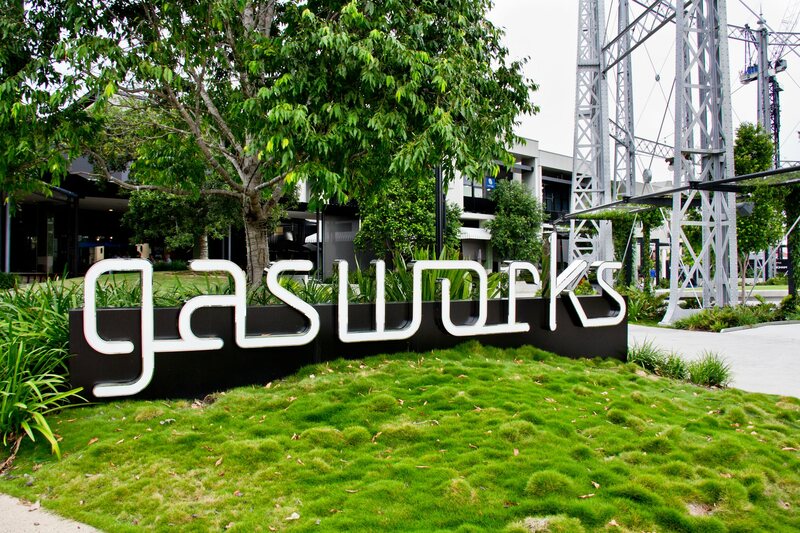 Now a landmark feature, Gasworks Plaza is by day a significant employment and residential hub which transforms into a night time destination with large public spaces for residents, workers and the community to enjoy. The first creative laneway precinct in Townsville that includes nine outlets for fashion and dining. 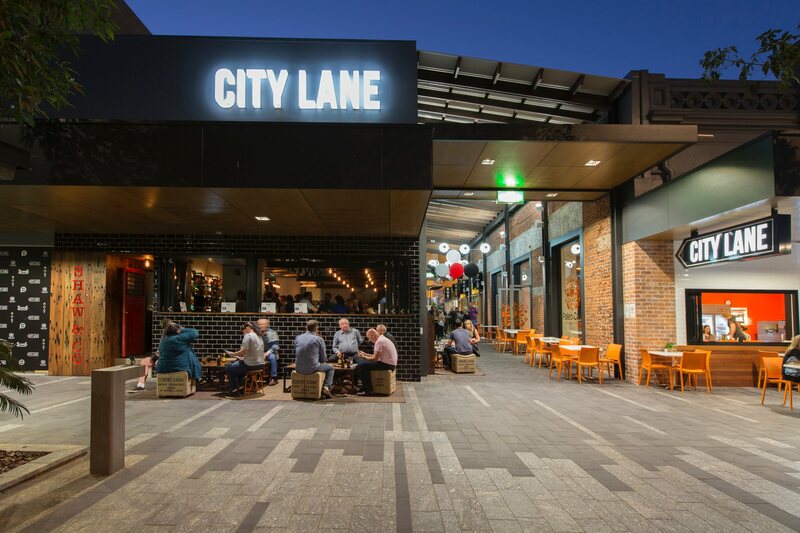 City Lane produces community dividend in the form of a unique space to bring people together whether it be for creative events or a place to relax and enjoy the Far North Qld lifestyle. The precinct contributes to the reinvigoration of social activity within the CBD and showcases street art from local and internationally acclaimed artists.